24-hour forecast: Mostly cloudy with a few showers, periods of rain and isolated thunderstorms affecting mainly the south and coast this morning and tonight and inland areas this afternoon. General Outlook: For Tuesday and Tuesday night is for some showers and a few thunderstorms across the country. Today E 5-15 kts Light Chop-Choppy 2-4 ft A FEW SHOWERS, PERIODS OF RAIN AND ISOLATED THUNDERSTORMS. Tonight E 5-15 kts Light Chop-Choppy 2-4 ft SAME AS TODAY. Tomorrow E 5-15 kts Light Chop-Choppy 2-4 ft SOME SHOWERS AND A FEW THUNDERSTORMS. Outlook E 10-20 kts Choppy 3-5 ft SAME AS TOMORROW. Moderate to fresh tradewinds prevail over the basin, with strongest winds along the coast of northern Colombia. Scattered showers remain over the NW Caribbean. 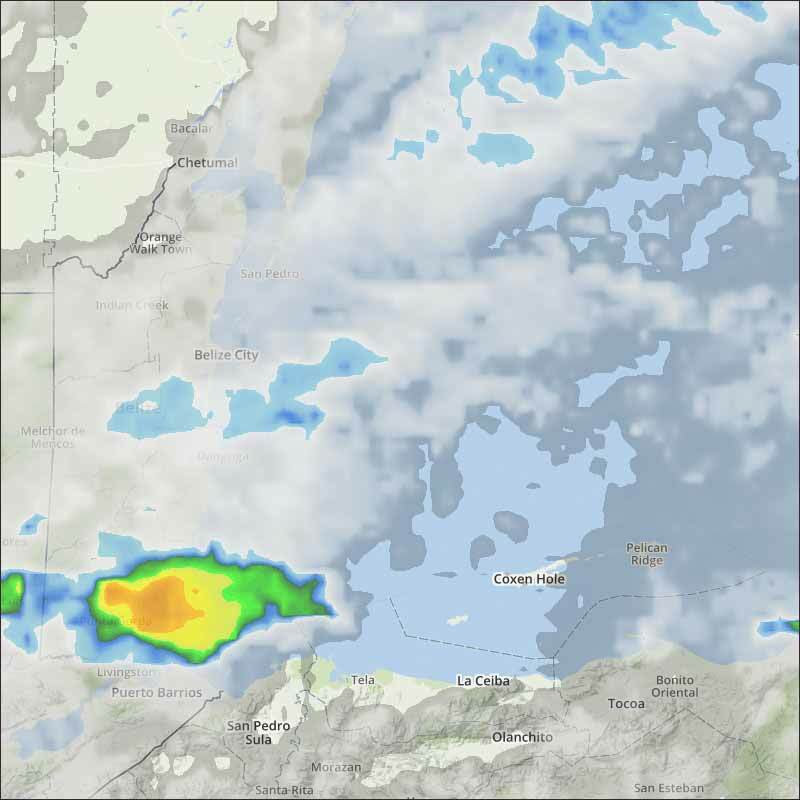 Isolated moderate convection is over Central America from Belize to Costa Rica. Scattered moderate to strong convection is over Central America due to the monsoon trough south of 10N between 73W-85W. High pressure in the central Atlantic will maintain fresh to strong trades in the S central Caribbean with mainly moderate to fresh trades elsewhere, except gentle to moderate over the NW Caribbean. The combination of the high pressure and pressures expected to lower to the west of Central America by the middle of the upcoming week will bring strong winds over the Gulf of Honduras. Fuego Volcano in Guatemala at 14.3N 90.9W is currently erupting. Plumes of volcanic ash mixed with cloudiness may move over portions of the western Caribbean through Mon afternoon. 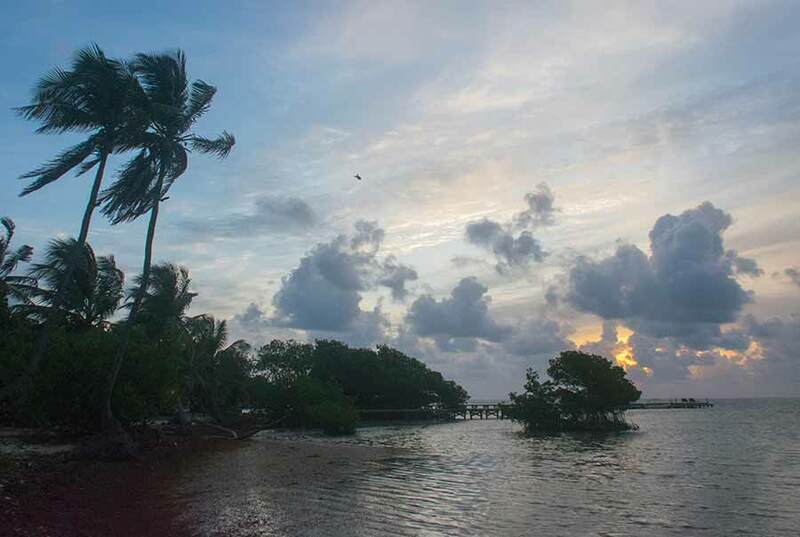 On Ambergris Caye this morning the wind is from the East at 6 mph and the sea is calm. 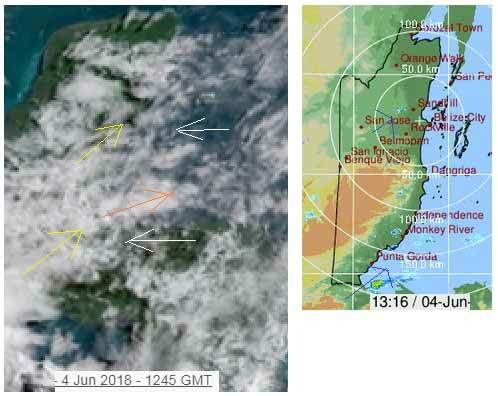 Our expected high for the day is 87 f.
There is still a lot of mid, high level cloud streaming in over Belize from the SW, but not quite as active as yesterday. Presently, only small areas of rain, mainly in Toledo, but there could be breakouts in any part of Belize this morning. Looks like it will remain cloudy most of the day, with the chance of rain showers at any time.